We are thrilled to welcome our newest contributor to the blog, Darci Cole! I’ve heard other writers talk about how they just LOVE drafting. Or revisions are where it’s AT. 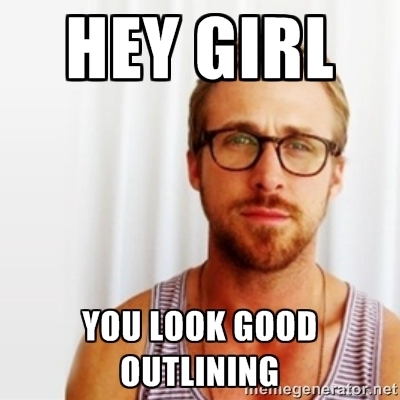 Or outlining is their WORLD. Me? I love it all. But I do have a hard time changing from one to the other, and I suspect this might become a problem if I’m under contract in the hopefully-not-too-distant future. So what do I do? I force myself to work. With the exception of writing this post, I’m starting work on a revision I’ve been needing to do for a month or so. IT’s extremely hard for me to get in the mindset of a story when I haven’t worked on it in a while. But I’m a writer. This is what I do. I go from polishing one story to drafting the next, to revising a third. It’s difficult, but worth it. Last year, I drafted two different stories, and semi-revised one of them. Beginning of this year, I re-wrote an older one, and am now getting started fixing up the one I semi-revised last year. After this I’m hoping I’ll be able to start drafting again, but I may go back and revise the other story I drafted last year, or write some short stories. 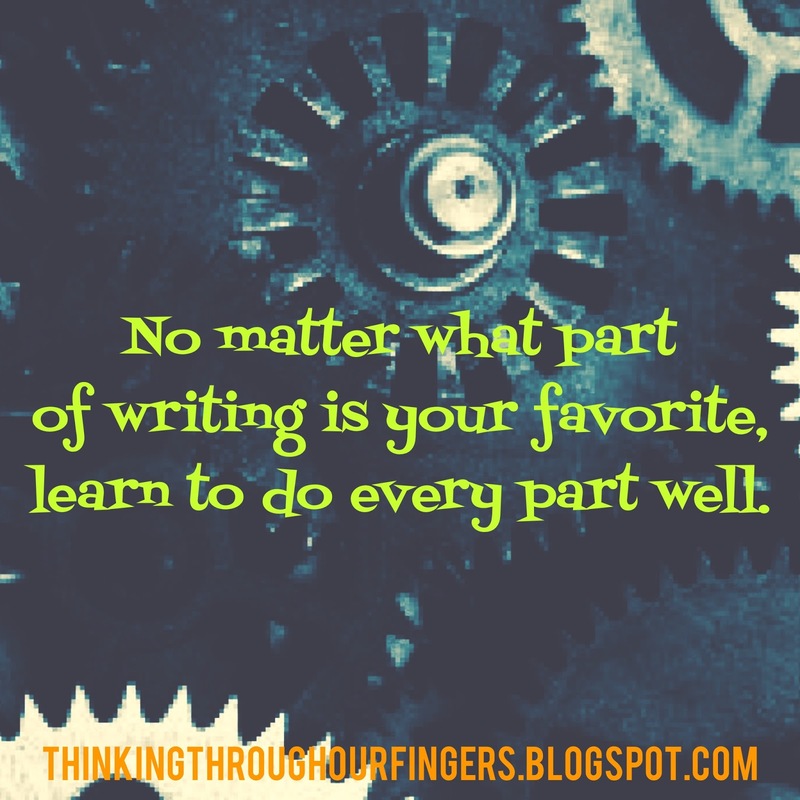 This is a very rambly way to get to my point: no matter what part of writing is your favorite, learn to do every part well. A writer isn’t the same as an outliner, or a drafter, or a reviser, or an editor. A writer is all of those things, and more. Good luck on whatever you’re working on! 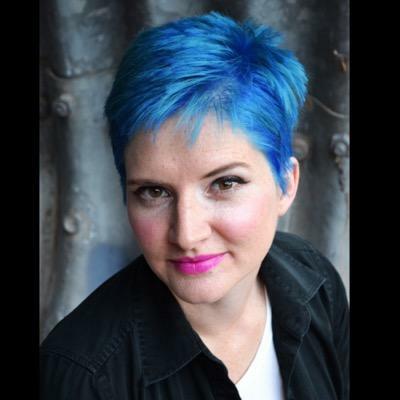 Darci Cole is an author, homeschooler, Mormon, and wandmaker. She is a writer of YA and MG scifi/fantasy, usually with a romantic twist. Basically, she writes stuff she wants to read. Darci has edited a number of manuscripts for clients and also served as an editorial intern for Entangled Publishing during the summer of 2013. She is formerly Thor as part of the YAvengers. Outlining is totally where it's at, because I can feel like I'm being super productive even when I'm normally just procrastinating. What do you mean start drafting? Dude, I've only been outlining for 4 months, ease off the gas pedal. You make wands? Cool. I used to turn wands on my dad's lathe before I had kids. Very therapeutic hobby, and inspired a couple of stories.